We were taking a visitor to St Kilda and needed a spot for a latish dinner and settled on Pizza e Birra conveniently sited at the end of the light rail portion of the number 96 route. 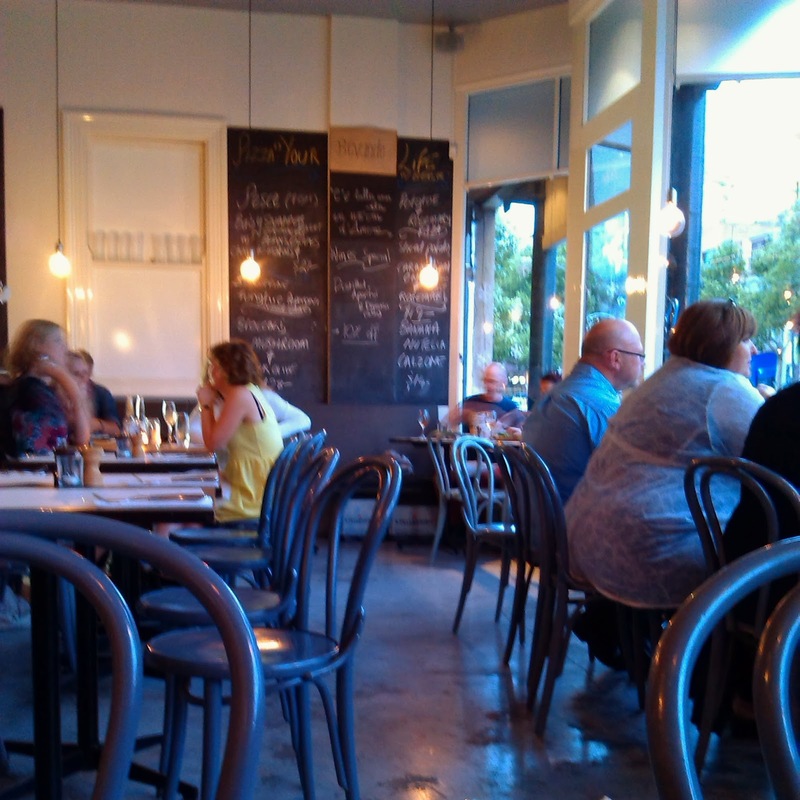 As it was a Friday before Christmas we wondered if it would be busy, but there were plenty of tables available. 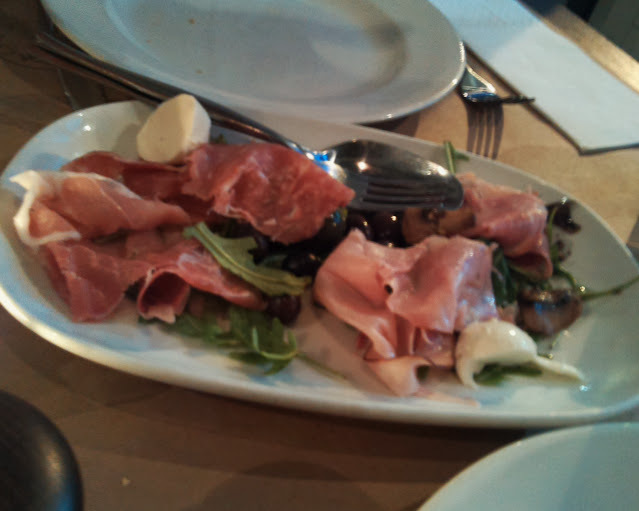 The fit out was fresh and the large windows let us look out across Fitzroy St.
We took a while to work out what we wanted, and shared the Piatto di Antipasto as an entree featuring a selection of cured meats, cheese, olives and some mushrooms, served with bread. 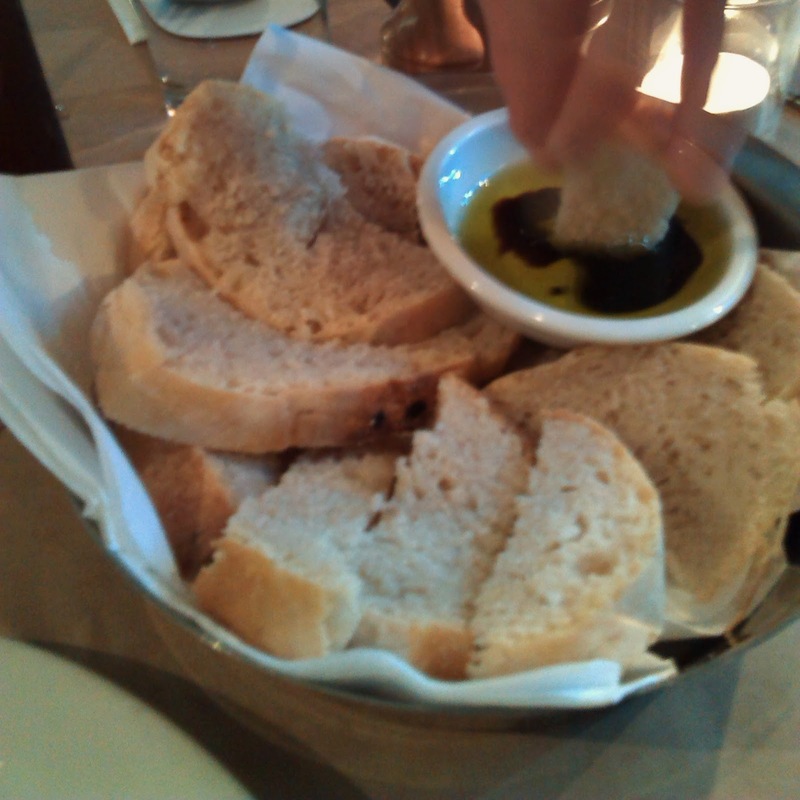 The selection was fine and served as a nice appetizer, but didn't blow us away. Danny had the house pizza e birra, with tomato, fior di latte cheese, cacciatorre hand cut salami, red peppers and chilli. 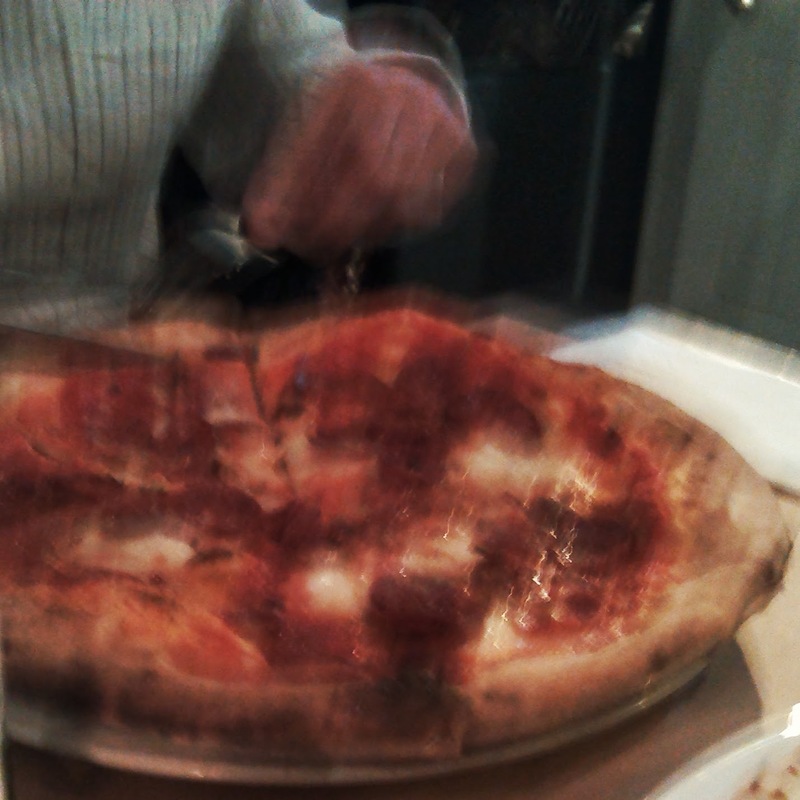 He didn't wait for me to dig in, and seemed to enjoy the spicy combination. 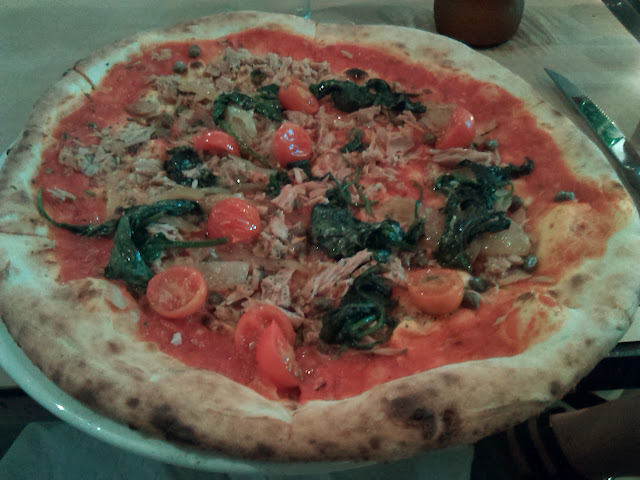 I went for the Tonno, featuring tomato, tuna, caramelised onion, fresh tomato, capers, garlic, spinach and oregano, a fairly healthy pizza which was still packed with flavour and enjoyable. 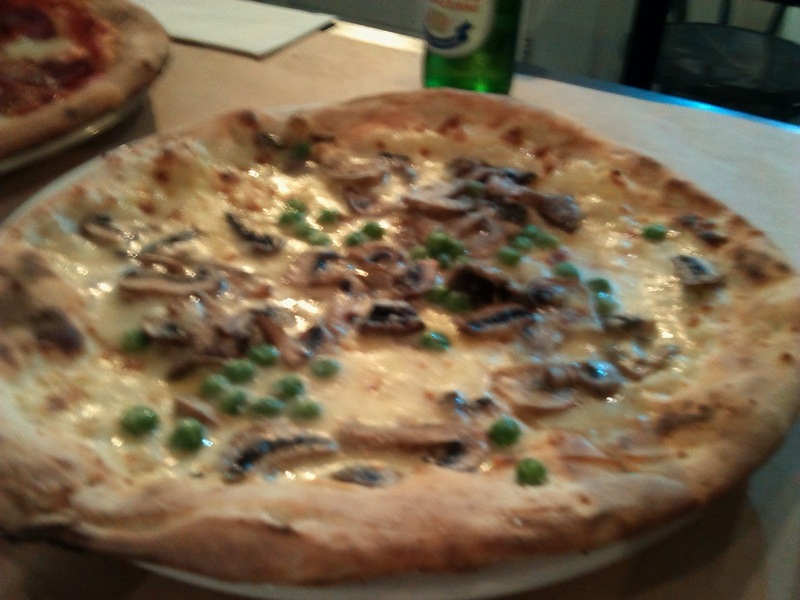 The pizze bianche funghi misti topped with mozzarella, mixed mushrooms, peas, gorgonzola and parmesan was a little too cheesy for my tastes, but a little different to standard offerings! The service was great, friendly, informative and efficient. The pizza's started around the $20 mark, and I'd certainly head back again.